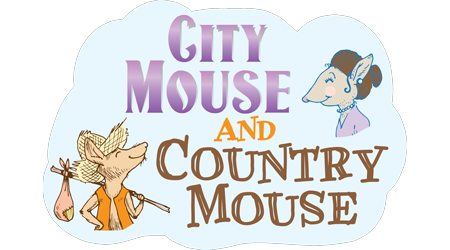 When country mouse Sam calls out of the blue to invite his “cuz” for a family visit, urbanite Alex is skeptical. But duly determined to re-connect with her rural kin, Alex puts family first and takes a leap — well, a flight — and then an “Oober” to the “fifth house down on the road by the crick.” Her country visit goes quickly awry when Alex finds herself lost in another world... a world without WiFi or indoor plumbing! She skedaddles back to the security of city living, but then feels badly for cutting short her time with her country family. So Alex extends an invitation to Sam, who quickly learns what it feels like to be a square peg in a round hole. Read more...In a hysterical restaurant scene, Sam’s reaction to sushi embarrasses all of Sam’s urban friends and leaves the country bumpkin bumming. Turns out, compatibility can be hard to come by, and there’s no clear answer as to whose way of living is better when two worlds collide.